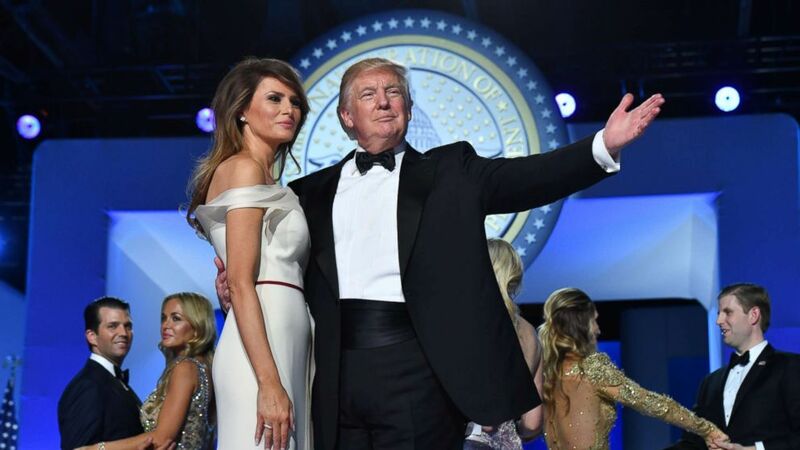 President Donald Trump and First Lady Melania Trump dance at the Freedom Ball on Jan. 20, 2017 in Washington. The subpoena also seeks information about the inaugural committee and its dealings with a California-based money manager named Imaad Zuberi and his company, Avenue Ventures. The subpoena does not specify the reasons why investigators are seeking documents relating to Zuberi, nor does it necessarily mean Zuberi is a subject of any investigation. He is the only person referenced by name in the document. Zuberi has been a prolific political donor, largely to Democrats, including President Barack Obama and Trump’s 2016 opponent, Hillary Clinton. After the election, Avenue Ventures donated $900,000 to Trump’s inaugural committee, according to FEC records. “Imaadd knows nothing about a subpoena, other than what is being written. It is well known that after supporting President Obama and later Hillary Clinton that Imaad gave generously and directly to the Trump inaugural committee, but many others gave substantially more. If, in fact, he is named in this subpoena, never mind somehow named alone, he is bewildered why,” Steve Rabinowitz, a spokesperson for Zubari, told ABC News. The subpoena also requests records related to vendors and contractors who worked for the inaugural committee, and it specifically seeks records of communications with an online payment-processing company called Stripe. Stripe, which did not respond to ABC News’ request for comment, received backing from a number of major investors, including the venture capital firm founded and managed by Josh Kushner, the brother of Jared, Trump’s son-in-law and political adviser. A spokesperson for Josh Kushner declined to comment when reached by ABC News. ABC News has reported previously on the interest by federal investigators in the foreign guests at the inaugural event, and possible contributions by foreign nationals, which would be prohibited. Among those who attended were Russian billionaire Viktor Vekselberg, who is now on the Treasury Department list of sanctioned oligarchs. Last year, special counsel Robert Mueller’s team questioned several witnesses about millions of dollars in donations from donors with connections to Russia, Saudi Arabia, the United Arab Emirates and Qatar, sources with direct knowledge previously told ABC News. One Mueller target, a political consultant named Sam Patten, acknowledged as part of a plea deal that he accepted $50,000 to buy tickets on behalf of a Ukrainian businessman who wanted to attend inaugural events. Despite the amount of money raised, the festivities surrounding Trump’s swearing-in were far more modest in scale than past inaugural events. The non-profit group established to oversee the celebration hosted only three major events, with some small intimate private affairs. The record-breaking fundraising doubled that of President Barack Obama’s first inaugural. The committee was chaired by Trump’s longtime friend, Thomas Barrack. It has been previously reported Barrack sat for an interview with Mueller’s office in late 2017. Sources familiar with the subpoena from the New York prosecutors said Barrack is not mentioned and has not been contacted by the Southern District. Recently, internal documents obtained by ABC News showed the committee spent more than $1.5 million at the Trump International Hotel in Washington ahead of the president’s 2017 swearing-in. It’s part of an array of expenditures there and elsewhere that included more than $130,000 for customized seat cushions at two gala dinners for the president-elect, $10,000 to provide makeup to the servers at another formal dinner, and $2.7 million to a company that produced a Broadway-style rendition of Frank Sinatra’s “New York, New York” using Las Vegas showgirls flown in by Trump pal Steve Wynn for a private event. Questions about inaugural spending first were raised last year when tax filings disclosed that among payments to the five largest vendors was one of nearly $26 million to an event-planning firm run by a one-time adviser and close friend of Melania Trump. The adviser, Stephanie Winston-Wolkoff, created a company called WIS Media Partners, based in California, that handled some of the festivities. That firm paid out contracts to other sub-contractors. Winston-Wolkoff was paid $1.62 million directly for her work, ABC News has previously reported. The tax filing showed that the committee spent $104 million of the $107 million it raised, compared with Obama’s 2009 inauguration, which spent about $51 million of the $53.2 million raised by his team. ABC News’ Aaron Katersky and Soorin Kim contributed to this report.